What is a link spring for a daybed? 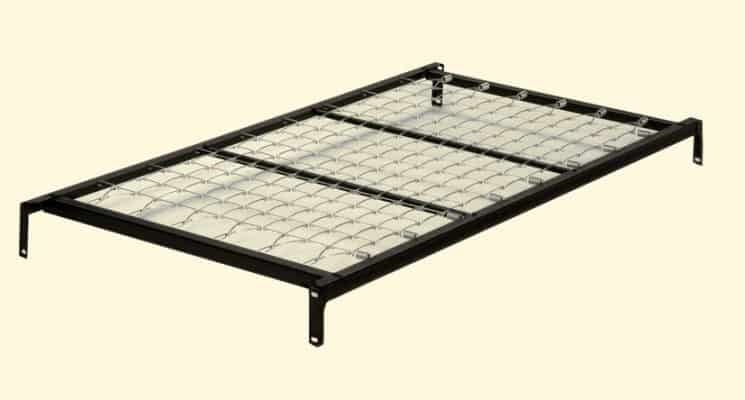 A link spring also references to a top link spring is a metal frame with wire mesh used in conjunction with the daybeds panels “head & footboards” to support the beds’ mattress. The daybed link spring attaches via bolts to each end of the daybed. The secure bolts and link spring creates a robust and stable daybed. Various models used cross supports and linked grid wire mesh. The wire mesh helps the mattress spread the weight evenly throughout the link spring. The most common reason to have a twin link spring is to remove the box spring completely and therefore have a reliable daybed.